We accept reservations for future years. If you want to come a certain week, don’t wait until the year before to book. Make your reservation early to ensure you get your first choice. Our no-risk cancellation policy makes it easy to book your next trip to Doc’s. We hope to see you “reel” soon at that special place we call Doc’s! PHOTOGRAPHER: Every year we hire a full-time photographer to catch the best moments of your trip. YOUR ALBUM: At the end of your trip, we create an online photo album and send you a link so that you can download and keep any of the photos taken by our photographer. 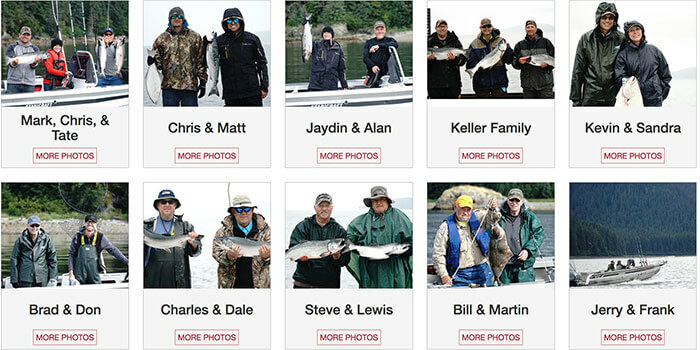 SHARE YOUR PICS: In your online photo album, you will be able to share the photos with all the members of your group and any family and friends that are interested in seeing what you caught. SALMON: Over the years we have collected the best recipes from our guest and posted them on our site for all of our visitors. 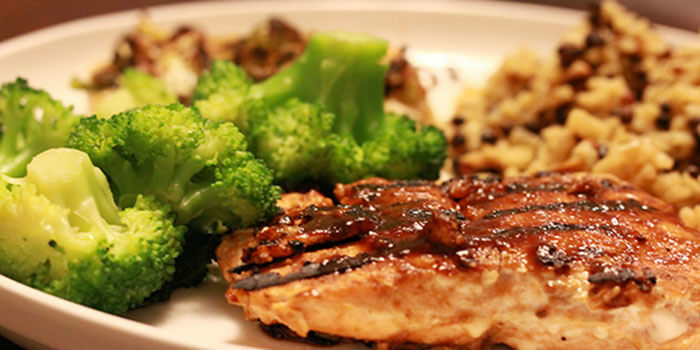 Our salmon recipes are specially crafted with years of experience from our guests. HALIBUT: We have a variety of halibut recipes from Halibut Quiche all the way to the tasty teriyaki. Try out our recipes for yourself and see how our fish come back to life in the kitchen. SHARE YOUR RECIPES: We want to create the best collection of salmon and halibut recipes on the internet. If you are a guest of Doc Warner’s or know one, please send us your recipes and we will add them to our collection. RECIPES: Our blog includes many, many recipes of the delicious fish you catch on your trip to Doc Warner’s. 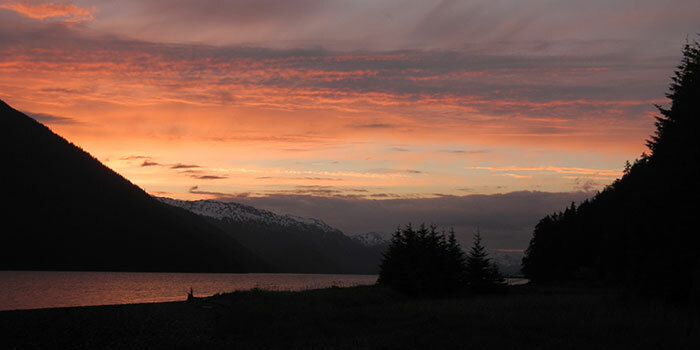 HISTORY: If you are interested in how Doc Warner’s got started, there are many posts about the origination and history of this incredible fishing lodge. 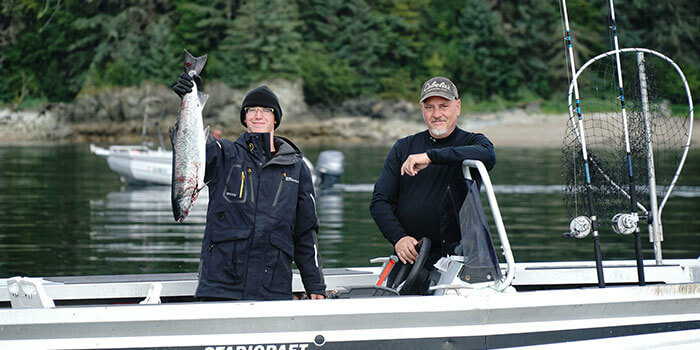 FISHING TIPS: If you would like specific instructions of information about fishing in Alaska, the Doc Warner blog is just the right place. 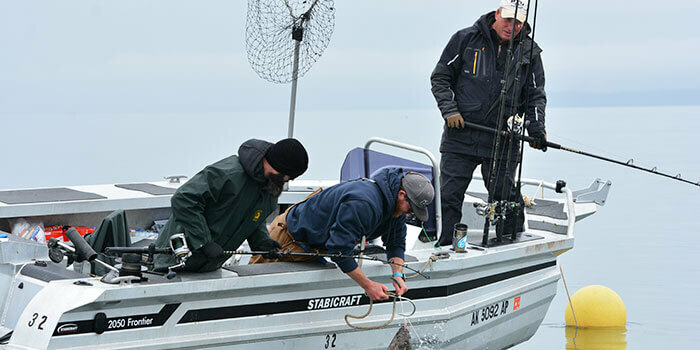 You can find information about salmon runs, baiting, driving a boat and more. Click read more below to find these great articles! INTERNATIONAL SPORTSMEN’S EXPO: Shows in Denver, Colorado; Sacramento, California; Salt Lake City, Utah; and Scottsdale, Arizona. GREAT ROCKIES SPORTS SHOW: Shows in Billings, Montana; Bozeman, Montana; and Helena, Montana. OTHER SHOWS WE VISIT: Locations in Harrisburg, Pennsylvania; Albuquerque, New Mexico; Boise, Idaho; Cedar Falls, Iowa; and Minneapolis, Minnesota. We use our newsletters (3 – 4 a year) to regularly update past and future guests about our preparations for the upcoming season. Join using the button below. Take a look at some of our past newsletters.